New formula acrylic colors with a satin finish, extra resistant and impact proof especially designed for airbrushing surfaces exposed to aggressive manipulation. The advanced formulation contains a revolutionary component which guarantees exceptional adherence on even the most difficult surfaces, and offers great resistance to rough handling, impact, friction, scratches, etc. Once dry, the Mecha surface looks the same as the original plastic of the model, while yet the smallest details of the original remain clearly visible. The color range includes primers as well as special varnishes – also with an exclusive formulation- and a series of colors for aging and weathering effects. It is recommended to apply the Mecha colors in several layers on the previously primed surface; a few hours after application the colors will have dried to form a homogenous coating of extraordinary strength and resistance. 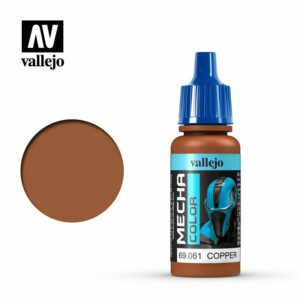 Mecha Color can be airbrushed directly or diluted with Vallejo Airbrush Thinner or Flow Improver, and the colors can also be applied by brush. The compressor adjustment recommended is 15 – 20 PSI o 0.5 to 1 kg. 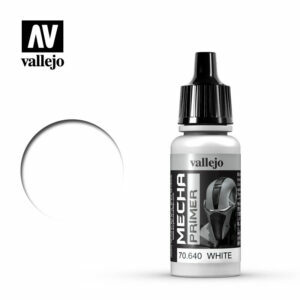 For best airbrush maintenance we recommend using the Vallejo Airbrush Cleaner. Safety: Mecha Color is not flammable, and does not contain solvents. Please see also certified safety information of the product on the Safety page. Packaging: Mecha Color is available in 17 ml./0.57 fl.oz. bottles (with eyedropper). 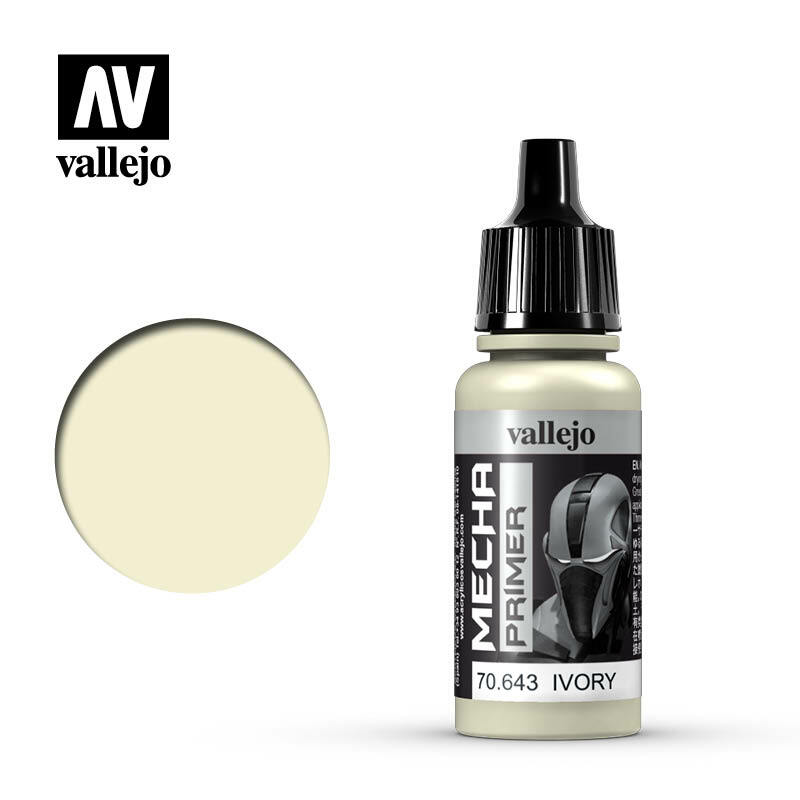 Mecha Primer and Mecha Varnish are also available in 60 ml./2.02 fl.oz. and 200 ml./6.76 fl.oz. bottles (with flip top and eyedropper).